Yu Aoi’s Updated Wiki Entry | personal.amy-wong.com - A Blog by Amy Wong. Anyway, I decided to update Yu’s Wikipedia bio (remember this from 2 years ago?) – but I’m not posting it there because I’m lazy and I hate Wikipedia format, so if you want to take info… take it and paste it there. In 2009, Aoi was named Rookie of the Year in the field of Films in Media and Fine Arts by The Ministry of Education , Culture, Sports, Science and Technology of Japan. 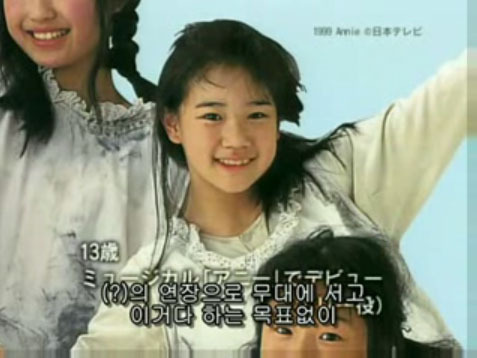 Yu Aoi set herself on the path to acting when she was cast as Polly in the 1999 rendition of Annie, followed by her appearance as a regular on TV Tokyo’s Oha SUTA (The Super Kids Station) in 2000. 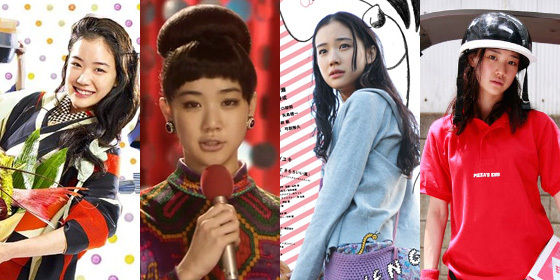 A year later, she finally made her silver screen debut in Shunji Iwai‘s All About Lily Chou Chou playing Shiori Tsuda alongside Hayato Ichihara, Shugo Oshinari, Miwako Ichikawa, and Ayumi Ito. Aoi would later work in Ao to Shiro de Mizuiro and Gaichu (Harmful Insect) with friend Aoi Miyazaki. In 2005, Aoi played her first lead on the big screen in Letters from Nirai Kanai, which was sold in Korea with the alternate title of Aoi Yu’s Letter due to her popularity in the country. She also had supporting roles in the Miki Satoshi film Turtles Swim Faster than Expected starring Juri Ueno, and Yamato with Shido Nakamura and Kenichi Matsuyama. This supporting role would earn her one of her double-nomination as Best Supporting Actress at the 2007 Japanese Academy Award. She won against herself for her work as Kimiko Tanikawa in the Japanese hit Hula Girls, which was sent to the Academy Awards as the Japanese official selection that year. During these years, she made commercials for Nintendo, Canon, the Japan Racing Association (JRA), Shiseido Cosmetics, Shueisha Publishing, Kirin Beverage and signed on to endorse DoCoMo with stars like Anna Tsuchiya, Kazue Fukiishi, Keiko Kitagawa, Tomoya Nagase, Satoshi Tsumabuki, Asano Tadanobu, and Eita. 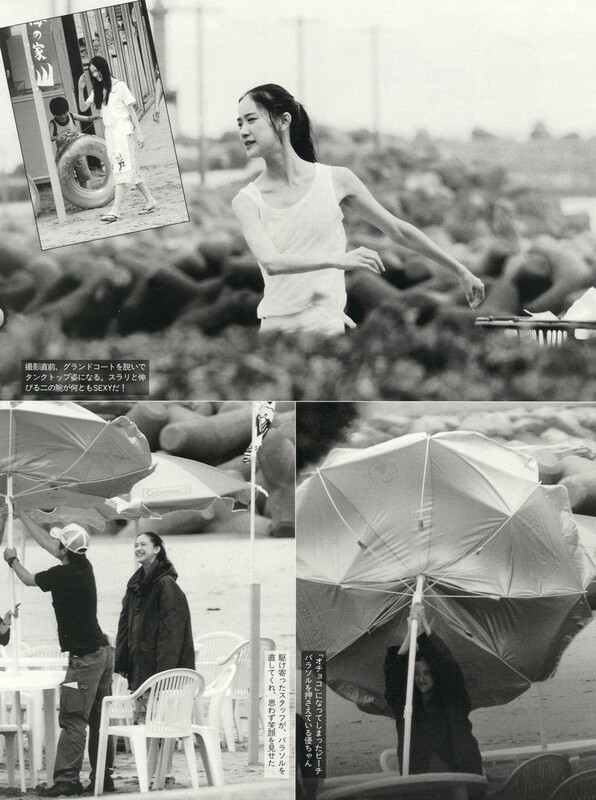 Moreover, Aoi also released two successful photobooks with Yoko Takahashi as photographer, and distributed by Rockin’ On, Travel Sand (2005) and Dandelion (2007). Add to that two interviews with NHK’s Top Runner in 2005, and TBS’ Jounetsu(Passion) interview in 2006, which was translated into Korean and Chinese. The Hula Girls cast, which includes Aoi, donated ¥10M JPY to the city of Iwaki, which is the city where the film was shot, and the ones that are suffering the most from the nuclear disaster. During these past couple of years, some of Yu Aoi’s sponsoring deals came to an end, passing the baton to new members for the JRA Club Keiba commercials, but she has continued work for Kirin and LG Mobile Phones, and started promoting Calbee Potato Chips. She currently is the 4th female personality in number of sponsors, promoting 10 companies just below Aoi Miyazaki (11), Saki Aibu (12), and Aya Ueto (13). Shunji Iwai’s Vampire opened at Sundance to mixed reviews, but the film is still waiting for a wide release as it does the festival rounds. Yu Aoi is also set to work with director Yoji Yamada once again in Tokyo Family, alongside Bunta Sugawara, Etsuko Ichihara, Masashiko Nishimura, Yui Natsukawa, Shigeru Muroi, Shozo Hayashiya, and Satoshi Tsumabuki. However, due to this year’s earthquake, Yamada has decided to postpone the film’s start-up date, which would have started on early April. Noanowa – Have a Good Day! btw, I finally watched Raiou. What can I say? As I had read the synopsis and many reviews I kind of knew what to expect in terms of plot. Not much happens and everything is kind of predictable BUT the movie has qualities no doubt: excellent cinematography and Yuu-chan (but -chan she no longer is) is simply excellent. Pleasant watching. @nill, yeah. I was a little iffy about the story, but I am a sucker for melodrama… and seeing Yu on the previews riding that horse and shouting, I was eager for that. I didn’t like April Bride all that much, so I didn’t know what to expect from Hiroki. I remember that I noted Yu’s use of voice on the film, and compared it to Shiro on Tekkon – plus, it’s not many films that we get to see Yu on camera for so long… too bad it never made it to #1. I hope it was good business for her and the company. btw, I haven’t forgotten I promised you Camouflage. I just haven’t had time to review the subtitles – I haven’t even finished reviewing Chapter 4 LOL – are you still waiting on them? Or have you found them somewhere else? Hello again :) Um, let’s say if and when you have the time. What an impressive read and website. Thanks for your work.